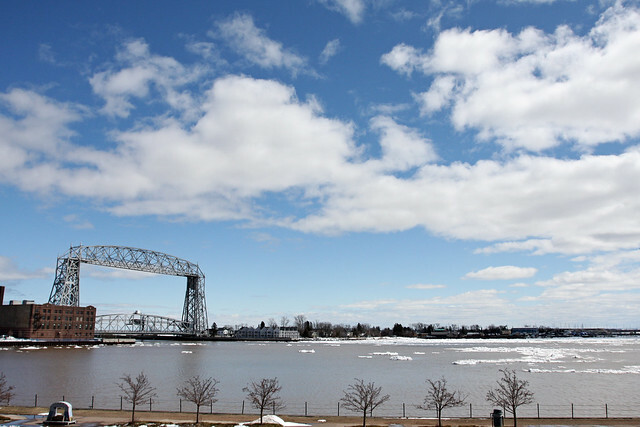 Along with the many snow storms we have had this month, we have also had an absence of sunshine. I think the lack of sun has been even more difficult than the abundance snow. I am waiting to be inspired in my photography by budding trees, green grass and spring flowers. I yearn for something with color to take photos of. Unfortunately, Monday was cloudy and gray. 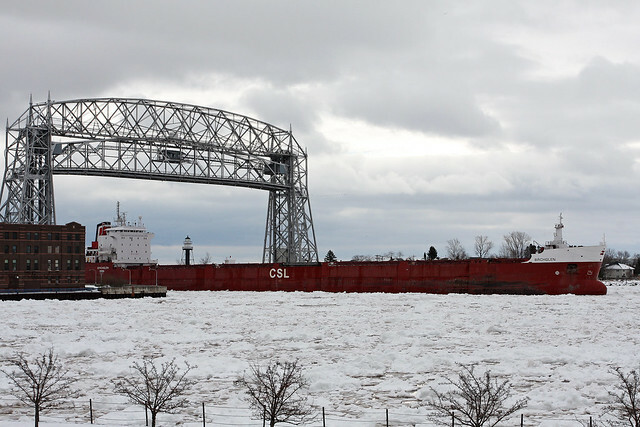 I watched this ship come in under the Aerial Lift Bridge shortly after I arrived at work. 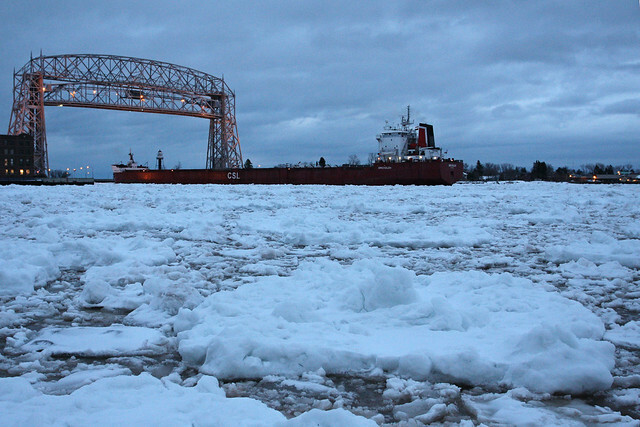 At close to 8 p.m. later that day, I had to drop by my office again and saw the same ship headed back out on Lake Superior. 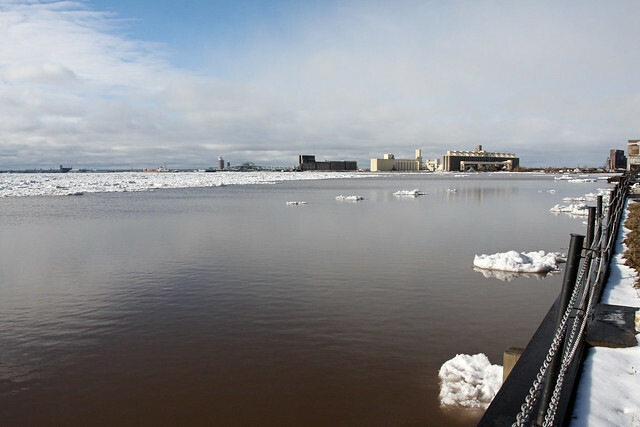 The next day, the harbor had opened up and most of the snow and ice was gone. The sun had also made an appearance. 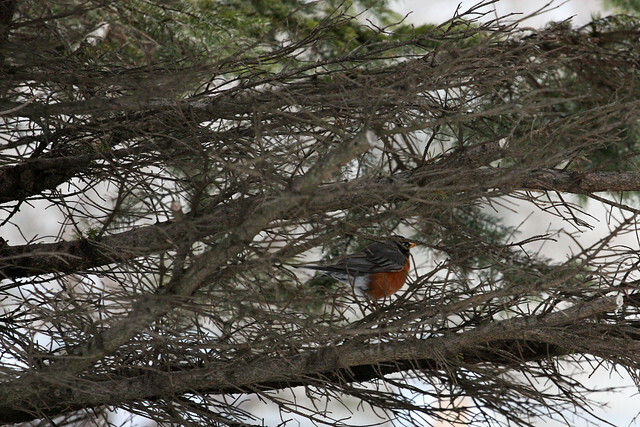 I also spotted a true sign of spring…the first robin of the season was in a spruce tree in the backyard. Basking in Tuesday’s sunlight was short-lived. The clouds moved in today and the snow has started falling tonight. 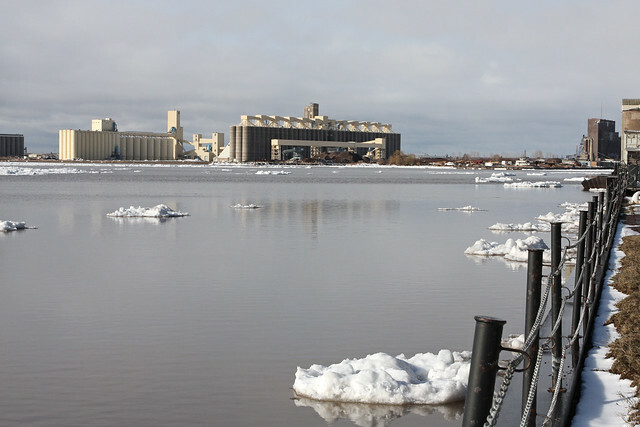 Storm totals through Friday are predicted to be 7 to 10 inches. Oh, how I yearn for sunlight!